Work for ESET NOD32 Antivirus 9? Learning about ESET NOD32 Antivirus 9? "effective protection against viruses and malware"
It is an excellent antivirus, it is effective, fast and safe because it takes care not only of the computer but also of the usb removable disks, memories, cd and others when entering the computer, one of the things that I like the most is its ability to perform an analysis in real time. I highly recommend it for its capacity of easy installation, handling, use and not be an impediment to the performance of the system because it does not produce slowness, also if you have an Internet connection it is automatically updated which makes it possible for your computer to be protected by another part can repair your infected files because they are not completely eliminated, recovering or avoiding loss of important information. "Absolutely the best virus protection ever!" ESET NOD32 Antivirus 9 is one of the best Antivirus that who want to save their machines very well. There is the very simple user-interface, detect viruses very fast and remove it .also no need lot of space to deploy that software so Pc not going to be slow. I would occasionally get random notifications that the antivirus was disabled but after checking, it said it was enabled It performed well thought and never had any real issues. It does what it says. It'll protect you from the malware and other threats. Update regularly and browse safely. With the increase of cyber attacks, NOD32 Antivirus gives us the opportunity to protect constantly the pcs of our technology departments, files and emails, of harmful elements that may compromise our information.
" It is a professional and lightweight antivirus!" and the memory consumption is reduced. The bad thing about this antivirus is that it analyzes few files (zip, ace, rar) and it is not a free software, perhaps it lacks other options. It has some problems to detect with the tablets and some files do not disinfect them. It needs to improve some things, but it is a functional and basic antivirus, besides it is light. It needs to improve some things, but it is a functional and basic antivirus, besides it is light. But to my consideration I recommend this antivirus, if you do not have a quick computer, it would be better if the antivirus they buy is Original, as I have seen in many pages that put NOD32 with crack, that makes it seem that we have updated our antivirus, but it is false since it is only appearance, therefore it is useless, we will be exposed to viruses. "Excellent antivirus at a good price"
It is simple and easy to use, you just really need to install it and the antivirus is responsible for the rest. It is powerful and safe, since we use it, in addition to not slow down computers, it keeps them protected. Maybe the least we like is that it is the basic version, which for the scholars of the scholarship is really good, but if you are looking for some more protection on the internet you need the more expensive versions, which have features added to this version. After trying many antivirus programs such as kaspersky, norton, panda, ... I have come to the conclusion that one of the best is undoubtedly nod32 and I use it both at work and at home since it simply works, does not cause problems, and it protects you from viruses and Trojans from anywhere. For a long time I have not lost any documents or waste time cleaning the Trojan PC. For a company where time is of the essence and you do not have to do something that makes it possible to waste time and money, you need to have good products that are simple to use and that do not conflict with other programs or users, so tools how are you not noticed that are installed and save thousands of documents of viruses, it is very important for any company that has computers connected to the Internet through cloud or servers. "Like its not even there"
This program has been a wonderful change compared to some other antivirus software we've tried. Its not bulky, there aren't constant popups and reminders bugging us for upgrade or to download a different software of theirs. It is fast and efficient, not too clunky, but still gets the job done. It can be a bit scary to look at at first if you aren't fairly computer literate. Go for it, its been a great addition to our office. Virus protection for our office. Since it isn't a bulky software, it doesn't tend to slow computers down while we are working on them. There is a good way to configure it and always connect to the Internet so that you update otherwise you can escape something and damage your PC. but my experience is excellent. I use it for many years and I will continue with the. I use it because it protects information that has been collected for a long time without damaging my personal and work computer. offers security. I protect my equipment and I avoid information losses that would be unparalleled for me and my work. "Safety from malware and internet risks ASSURED"
I like how this AV software is minimal with its resource usage. It doesn't hog my RAM, or CPU cycles. I can do my work while this AV protects me from background. It is great that it is always updated with latest protection from latest viruses, spywares and rootkits. This product also protects you and your PC while browsing the internet by determining phishing sites and ransonwares before you even click on it. It's like having a bodyguard when you're using your PC. Nothing. While its free version already offers great functionalities, subscribing to its premium offers a lot more, deeper protection for you and your PC. With ESET NOD32 Antivirus 9, businesses can be sure to prevent attacks from known threats. "Not Compatible with Certain Business Software"
It is light weight compared to other products. I don't notice it that often. It won't work on my Loftware Server or my NowForms server. It causes issues with the applications on that server even if the folders are all white-listed. Make sure you get a trial version and test against any inhouse applications or specialized applications. 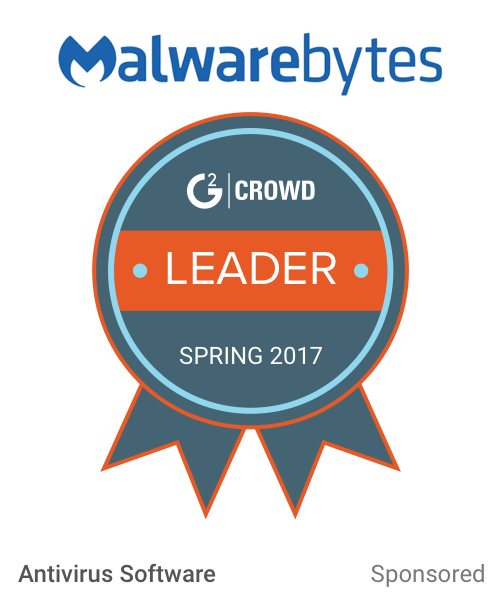 It is a plus over Webroot, Kaspersky and Trend Micro. I have noticed that it does scans when needed. It keeps us running. "The undefeated champion when it comes to Antiviruses." This is the OG. We used this at our last organization for almost a decade and it never gave us any problems. Great tool set. It let us customise each users configuration. Frequent and useful updates. Also the detection rates were fantastic. It caught stuff that others just didnt. And it has a really light footprint. A lot of the machines we ran this on in our last organisation were already old and slow. So one of our concerns always was to ensure they werent being choked further by our AV. And this never cause an issue. It was almost like it was not running. Plus it was super easy to remove and reinstall if ever needed. And to transfer over to a different machine. I would have liked more options to integrate this with our email client for added security. The default was good enough and it did the job mostly. But a more specialised solution (even if paid extra) would have been terrific. Try out the free trial. Its well worth it. Security was a prime concern of ours and this made us all breathe easier. Our end users also never noticed it running and it rarely raised any issues. Improved our over all system health significantly increasing the lifespan of our systems and reducing OS reinstalls. "ESET is the best on the market"
Frequent updates keep me protected. It is easy to download and technical support is very efficient. It slows down the PC more than other Antivirus when it is analyzing for threats. 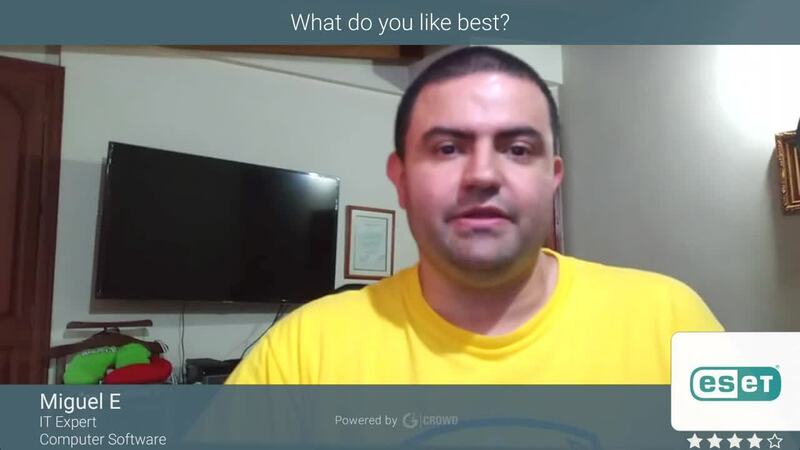 It's relatively inexpensive for what you get and you have plenty of choices that are tailored for your specific platform. 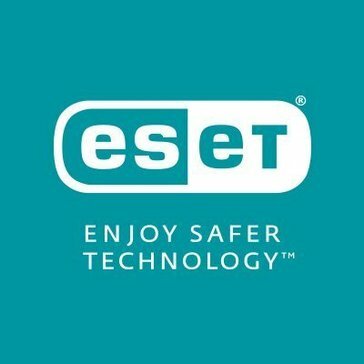 "The most trusted Anti Virus in the industry"
ESET NOD32 Antivirus delivers great protection without slowing down your computer or making it difficult to set up. It recognizes malware and warns you if you’re about to visit a page where viruses tend to lurk. And if a threat like a Trojan or a rootkit tries to download, ESET will stop and quarantine it before it has a chance to infect your computer. "Very easy to use software "
Very simple and easy to use software. The interface is not overloaded. I like it that it detects threats easily and protects computers from viruses and spyware. It's worth using ESET NOD32 Antivirus 9. Try it. The problem that I am able to solve using this software is that I can do a full or a quick scan on my computer hence preventing it from viruses and spyware. "It is impressive with the ease that it encounters threats"
The analysis program works excellently. I must say, I did not see something like that in another antivirus. Threat notifications cover almost the entire screen of the computer. Currently we do not have an Antivirus. We use for our Deep Freeze teams, so the IT Security area has decided to try ESET NOD32. "One of the best software to protect your PC"
I like how ESET NOD32 Antivirus 9 protects your PC "silently" without causing any lag, does not hog resources like memory and CPU, and bandwidth conservative when it comes to updates. You can still work without any hassle with this product working in the background to protect you from latest malicious software and viruses. I could not configure firewall and spam filtering. I think this version doesn't have it. It saved us from worrying about malicious software attacks in our network. "An antivirus that we have trusted for several years"
It does not slow down our computers like other antivirus. In addition NOD32 creates a second protection wall when visiting any banking website. The contact with the company by email is very slow. They always respond after several days. It is an excellent antivirus at the business level. It has very good characteristics. We need to reduce the maintenance costs of our computers and we have bought NOD32 for a good price. The interface of the antivirus is not overloaded and understandable. It does not load the system. A plus for those who have an old computer. Scanning speed of the OS is fast. NOD almost does not treat files, but simply deletes them. If you have a reliable antivirus software in your priority, then you can look at the program. I use it for virus protection. The protection modules are working properly. It finds and blocks viruses excellent. "Nice Antivirus that Runs Efficiently in the Background"
The best thing I like about ESET NOD32 Antivirus is that I haven't had any viruses since using it. The thing I dislike about ESET NOD32 Antivirus is that doesn't prompt when I need to update the opertaing system without opening the interface and its creepy A.I. robot mascot. It is one of the better Antivirus programs I have used. Preventing downtime by having to deal with viruses. "Best software to keep me save"
It is a reliable protection software you can have for your PC. It is fast and does not slow down your computer. It is always up-to-date with latest PC vulnerabilities. It doesn't offer that much control over firewall and spam filters. ESET helped us make a solid decision when choosing software to protect our network. "my experience with ESET NOD32 Antivirus 9"
-includes a firewall and an antispam. -Focused for users with little experience. a single product to strengthen the security of my operating system. "ESET NOD32 areas of application"
What i like best about this application is that it protects your computer and files from viruses and spyware. What i dislike about this product is that firewall feature is not included in this version. The business benefit am solving with this poduct is am able to do a full scan on my PC and laptop and any storage media hence keeping away virus and spyware from my computers. La instalación fue de manera rápida y es de fácil administración. Y me gusta que tenga el sistema de prevención de intrusos y la protección contra malware. También es importante que puede analizar cualquier pendrive o discoduro externo. Era lento al momento de analizar la pc ante virus y pone un poco lento la computadora. Detecto virus que ralentizaban mi pc . Eset isn't CPU or memory hog and is easy to use. I'd like a little more info and control of the gui. * We monitor all ESET NOD32 Antivirus 9 reviews to prevent fraudulent reviews and keep review quality high. We do not post reviews by company employees or direct competitors. Validated reviews require the user to submit a screenshot of the product containing their user ID, in order to verify a user is an actual user of the product. Hi there! Are you looking to implement a solution like ESET NOD32 Antivirus 9?